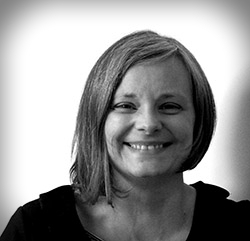 Lynne is Associate Dean (Academic) for the Faculty of Creative and Cultural Industries. Coming from a professional background in global retail design, Lynne lead the BA (hons) Interior Architecture and Design course as a Principal Lecturer in the School of Architecture for 10 years, is a member of Interior Educators and a Senior Fellow of the Higher Education Academy. Lynne’s 2010 book Interior Design Basics: Retail Design is recognised as a key text for undergraduate design courses, and the second edition, co-authored with Stephen Anderson, will be published in 2019. Lynne has also published co-authored journal articles relating to professionalism in design and assessment for learning; and has presented at international conferences on these subjects. Lynne is currently studying a Doctorate in Education, combining her research interests in interior design and pedagogy, examining the professional training and role of women in the design sector.